DECK DOC specialises in the development and manufacture of the finest blends of timber preserving oils. These unique products seal in and protect the natural beauty of timber, providing durable long-term protection under Australian conditions. A unique blend of deep penetrating oils with the weatherproof shield of Lanolin absorbs into the timber and seals in the rich, natural colour. DECK DOC won’t shrink, crack or dry out, providing years of low-maintenance protection for your timber. The DECK DOC range has become the leading timber restoration and protection solution available through retailers and timber specialists throughout the country. The preferred choice of many builders, tradespeople and manufacturers of outdoor timber installations, it is being specified by Architects, Government Departments and City Councils. Developed in Australia for Australian conditions, we support local industry by sourcing locally made raw materials and products, boosting local jobs and the economy. Stops timber bleeding. 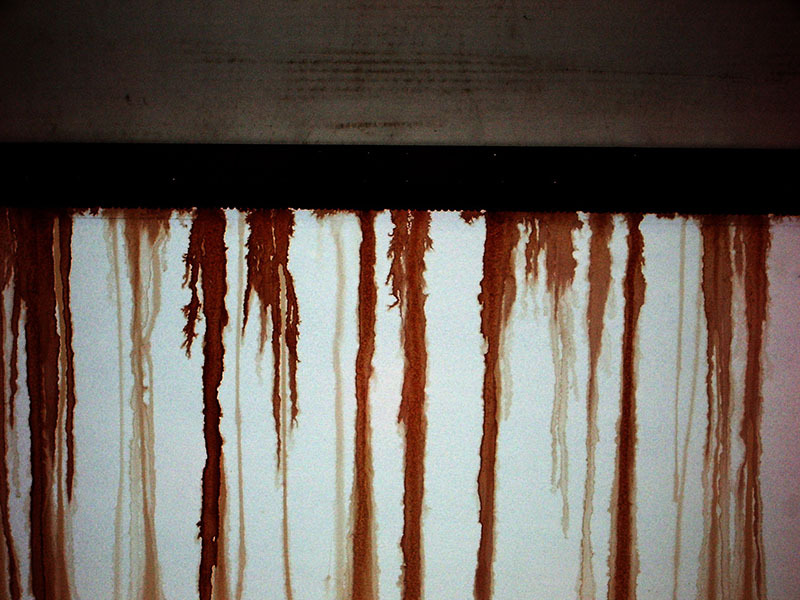 The bleeding of tannins can be drastically reduced and prevented if the coating is applied correctly. The coating needs to be fully dried and cured. Depending on climatic conditions, this could take up to 4 weeks. Any cut ends or any penetration of the surface such as nails or screws will need to be resealed with the DECK DOC coating. 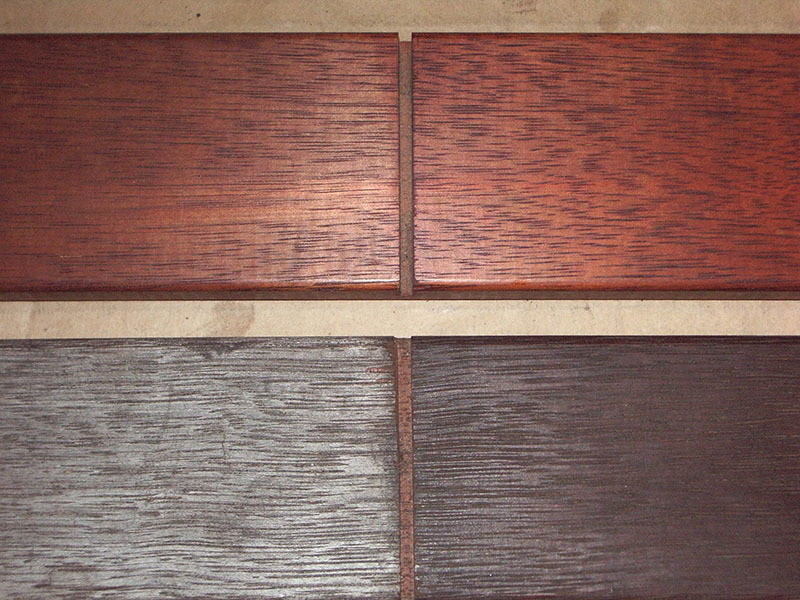 Seals in the tannins, protecting and retaining the natural colour of the timber indefinitely. Features Lanolin, natures finest UV protector and moisture repellent. Penetrates and seals extremely dense hard-wood timbers. DECK DOC will not leave a solid membrane on the surface to crack or peel. No sanding required on repeat applications. For best results and ease of application, use the purpose-designed DECK DOC Easy Mop with interchangeable heads applicators. DECK DOC provides the complete solution to do the job right; cleaners, applicators and oils. 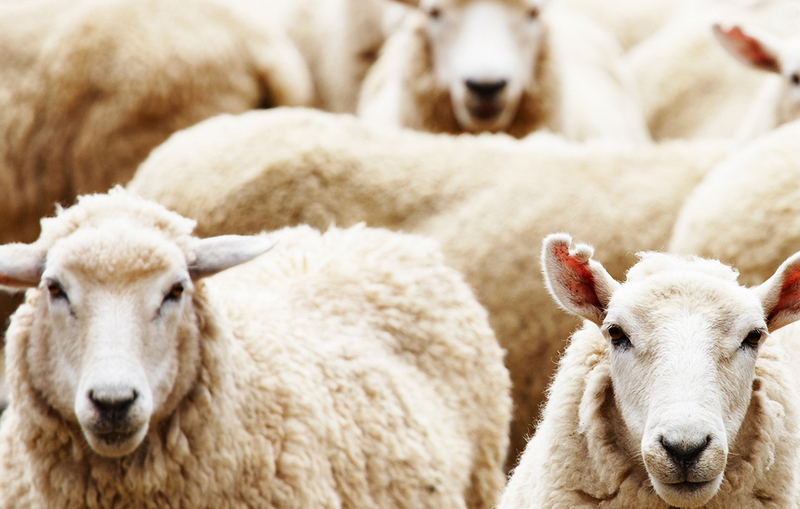 DECK DOC LANOLIN based (Wool grease from sheep) timber protection oil is unique in that it differs completely from conventional commercial products. DECK DOC comprises a unique blend of drying oils (vegetable oils, Non Drying Oils (mineral oils) and Animal Grease (Lanolin). There are no harmful toxic drying agents used in this product and unlike other products when applied to timber the coating will penetrate into the surface and dry naturally without solidifying to a hard ridged coating. 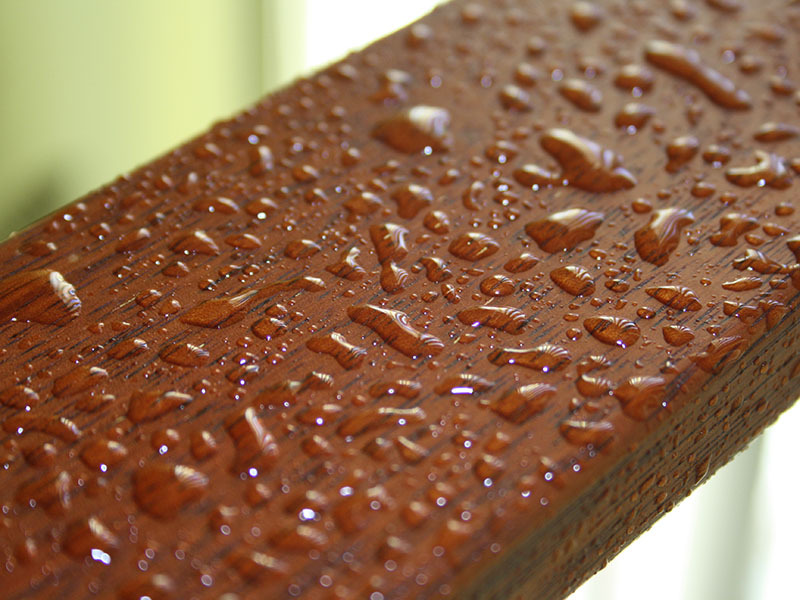 This unique feature allows the coating to match the movement of the timber exactly and consequently providing a very effective water and moisture barrier, which repels moisture for years, even on fully exposed surfaces. The surface will accumulate a build up of dirt over time and the surface will appear discoloured. However, it is important to note that the timber will not discolour once the dirt has been cleaned off and the natural as new colour of the timber will be exposed. It will be noticed that this accumulated dirt can appear quite dark. 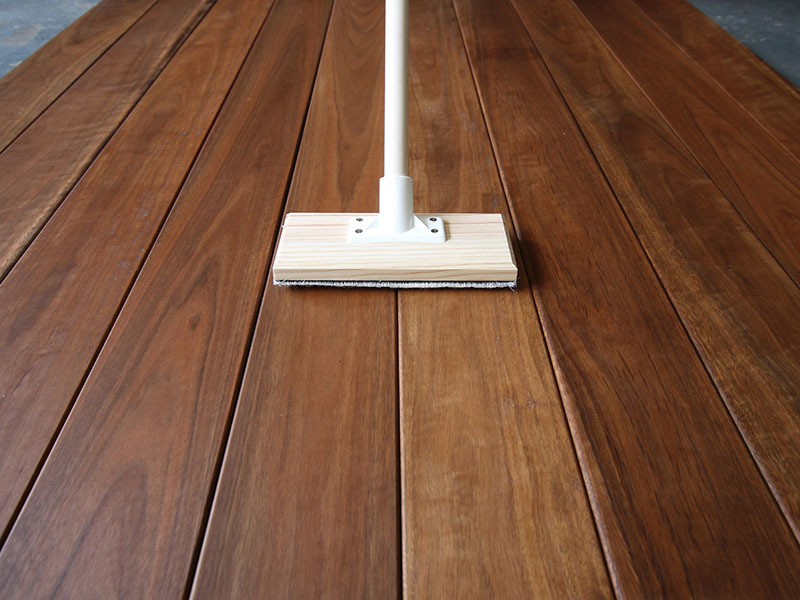 Because of DECK DOC’s excellent water repellence the moisture from the rain or dew that is absorbed in the dirt, remains in the dirt and will not be absorbed into the timber. Therefore, it is because the dirt remains damp that the appearance appears dark, this however does not affect the timber in any way other than providing extra U V protection. The Lanolin (wood grease) is natures wonder water repellent and UV Protector. 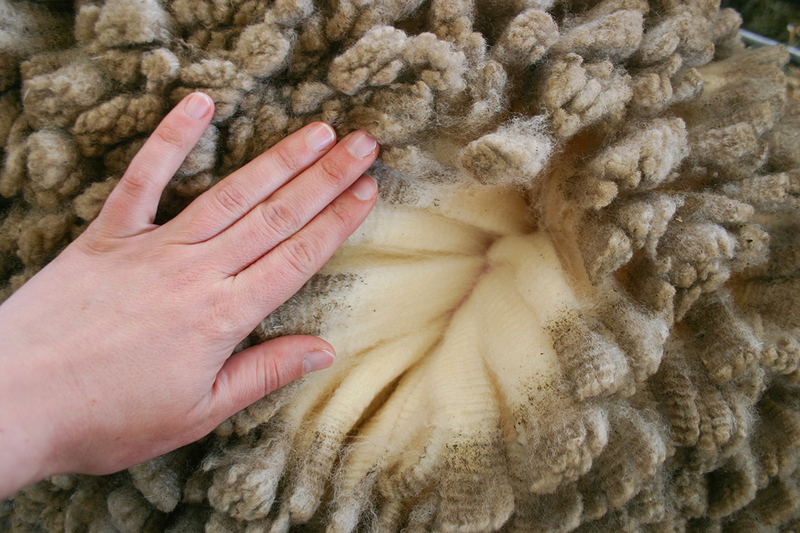 It is the natural ingredient that protects the wool fleece on sheep. It blends perfectly with our blend of vegetable and mineral oils without hardening and solidifying providing excellent moisture and UV protection.